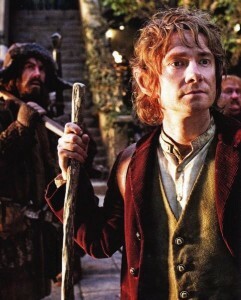 Peter Jackson’s ‘The Hobbit’ Has A Trailer!!! Well it is finally here. Peter Jackson’s The Hobbit is coming sooner than later and now we get a glimpse of the magic. Cannot wait to see this. This trailer should be on prints of TinTin so see it in the theatre and cheer like I will. Enjoy!!! CLICK HERE FOR THE TRAILER!!! Check Out the New ‘Hobbit’ Trailer! It Looks Amazing! This entry was posted on Tuesday, December 20th, 2011 at 9:45 pm	and is filed under Film. You can follow any responses to this entry through the RSS 2.0 feed. You can skip to the end and leave a response. Pinging is currently not allowed.